Thirty-seven weeks.....wow! How can it be that we've been having this little link-up for that long? That's over 9 months, even more considering I think I skipped a few weeks in the beginning. I wish more people would play along, but I've really enjoyed getting to meet some new folks since we starting sharing our photos with each other. Isn't the sky in this one just so awesome? I took it walking up the driveway at our daughter and "son"'s house one morning. Our oldest grand-boy said it reminded him of the mud that cakes on his boots.....LOL Leave it to a boy to describe it that way. 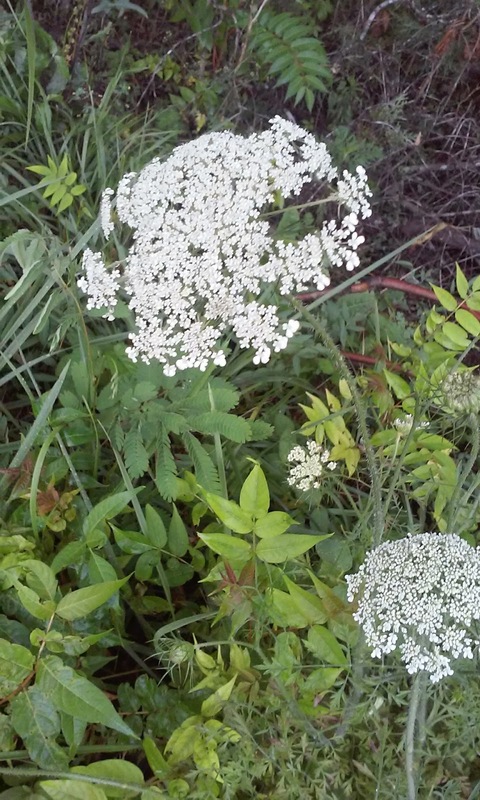 Would you believe until a few years ago I didn't realize this is Queen Anne's Lace? I've always heard it called chigger weed! You're never too old to learn, right? 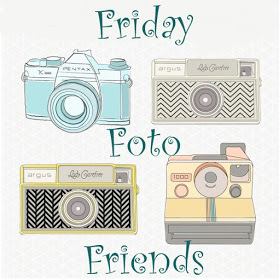 I'd love it if you'd link up your Friday Fotos below. The sky is always a thing of beauty, no matter the weather. I love Queen Anne's Lace. Beautiful. We passed some awesome clouds over the corn fields in Ohio, but we were on the interstate so we were moving to fast for me to get pics. I know where Wear's Valley is, we stayed in a cabin near there. But, then again, we love Tennessee, we just couldn't see ourselves as Volunteers (laughter and a wink)---in all seriousness, the housing market was out of our price range. Sad to say. I love your photos, they always make me smile. Have a beautiufl day friend. Those two sky pictures look like cotton balls to me! Beautiful capture!! I agree that a toddler wanting love is much more important that a photo! Enjoy those sweet arms reaching for you while you can!! Have a glorious day, Deb!! Sorry, Deb but I don't have anything this this week. Hopefully, next week. I love Wears Valley. One of my favorite places in Tennessee. There is a dulcimer shop in that area - Wood N Strings that I want to visit someday. Have a great day. 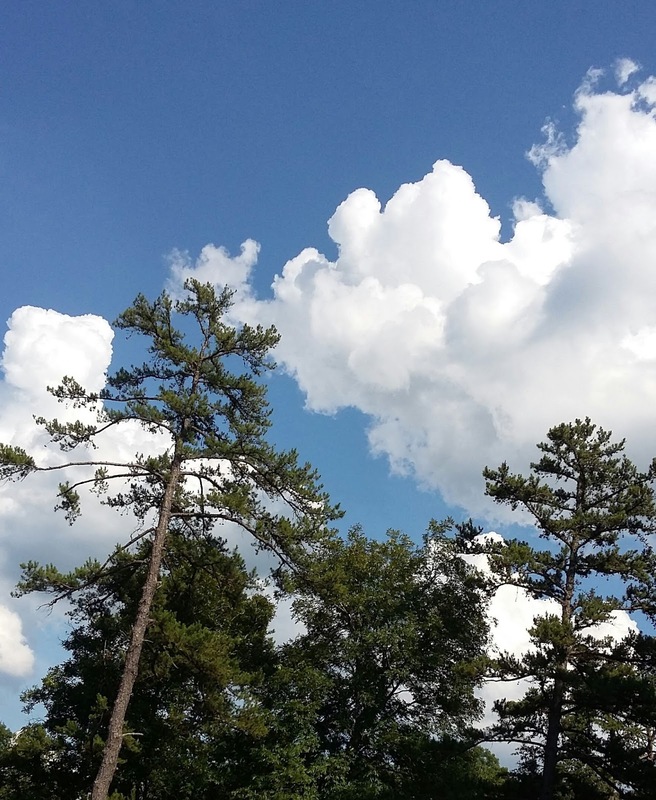 Your cloud photos are amazing! I have many cloud photos and posted several today. Love your header photo, too. Thanks for hosting this blog. I had no idea a pretty flower like that could be named chigger weed. May I just say: I. Am. Fed. Up. With. Chiggers!!! Chiggers, wasps and mosquitoes are truly bugging me this summer and I will be so glad when cooler weather comes and they go! I also meant to add, that your sweet boy was definitely more important than a photo! 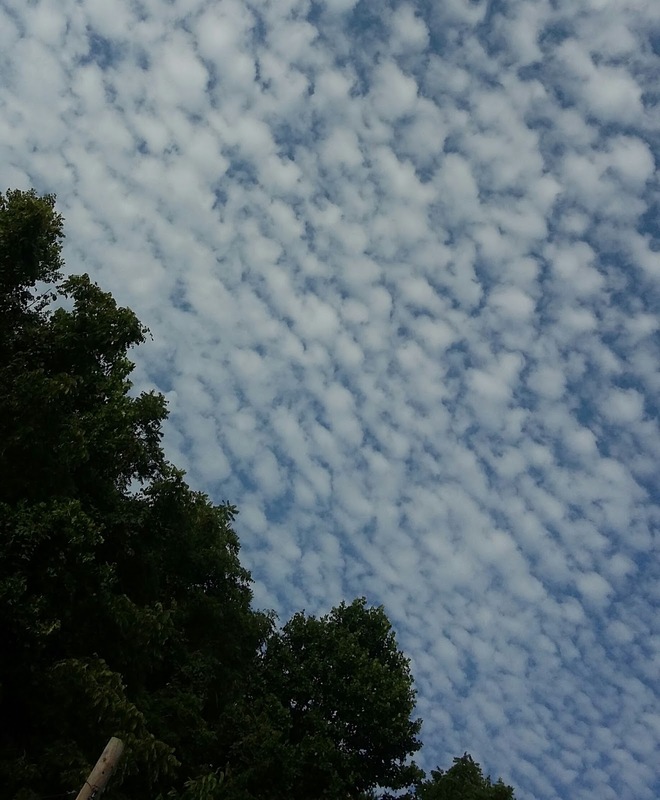 Love those mackerel skies!!! And, your Header is magnificent! Love you new header!! I think clouds are one of the most beautiful things God gave us. Yes, I am a cloud watcher. Have a wonderful week-end and enjoy those precious grandbabies. They certainly do take priority over getting a good picture!! Magical clouds. I always have thought that Queen Anne's lace was so lovely. 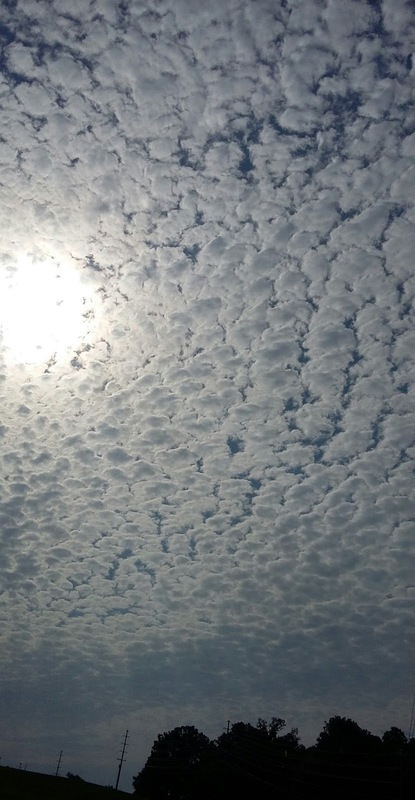 It does resemble the sky! Love those sky pictures too. Awesome. Hi; Dropped in from Annie's blog. I too love sky & cloud photos. Your header is beautiful. I've enjoyed my visit here and hope to join in your Friday Fotos Friends. I like the idea that the sky looks like Queen Anne's Lace but mud on boots rofl....!!! Nice images. Hope to see you next week. 37 weeks? That's like a full-term pregnancy!